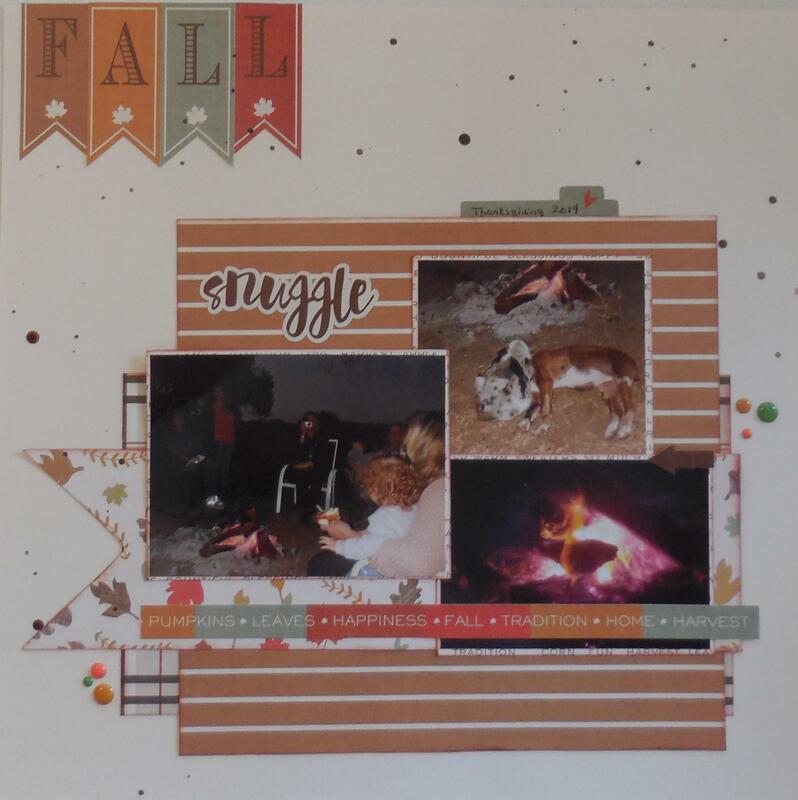 I chose to use the BRAND NEW company PhotoPlay’s “Autumn Day” collection. Usually I don’t buy brand new stuff from brand new companies, but I just love this collection! Just look at those colors. And those papers. I added mist from Tattered Angels and Inkadinkao, along with enamel dots from Freckled Fawn and Doodlebug. As you can see, I opted to use one less photo. I had more photos, but they really didn’t look right with the other three. I still think the layout works. 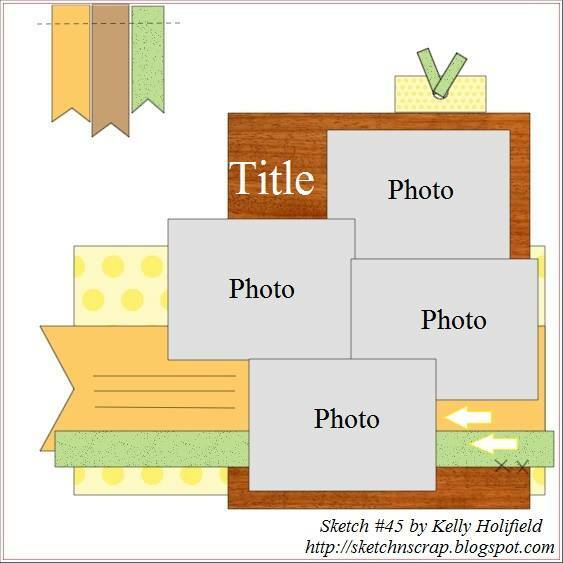 Make sure you stop by at Sketch-N-Scrap to join in on the fun! Love your take on the sketch! Great misting and Fall banner. Brandy I just love the collection you used! What great colors! And I love how you misted your background!